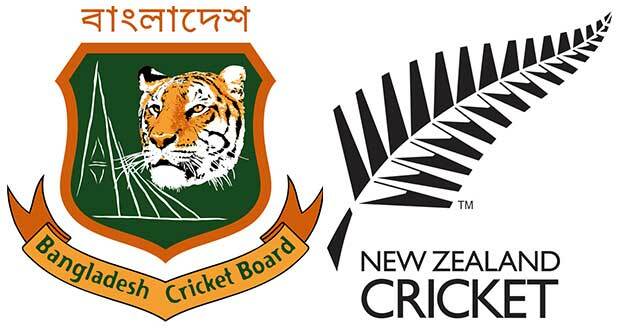 Bangladesh vs New Zealand 2019 cricket series is starting from 13th February. The series will consist of 3 ODI and 3 Test matches. This series was planned a few days ago. As New Zealand has been the weaker side than Bangladesh in ODI in the recent few years, it should be good series for the Tigers. Channel 9 (Bangladesh) will telecast all the matches of this series live. Besides, Channel 9 will also telecast a talk show with some renowned former players of Bangladesh. N.B: All time used here are of Bangladesh Standard Time. TEST SQUAD NEW ZEALAND: Not announced yet. Stay tuned on MAXBANGLA.COM for any latest updates. Thank you for reading this post on Bangladesh vs New Zealand 2019.